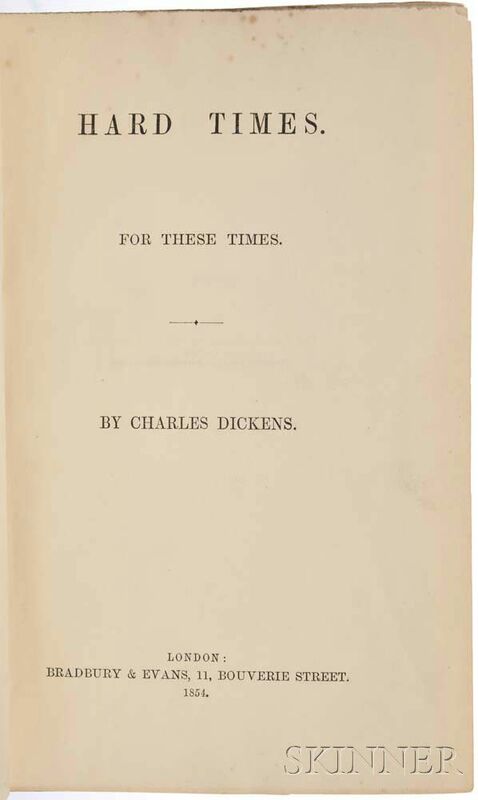 Dickens, Charles (1812-1870) Hard Times. Dickens, Charles (1812-1870) Hard Times. 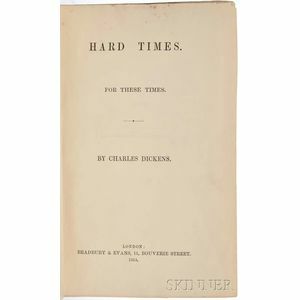 Dickens, Charles (1812-1870) Hard Times. Dickens, Charles (1812-1870) Hard Times. 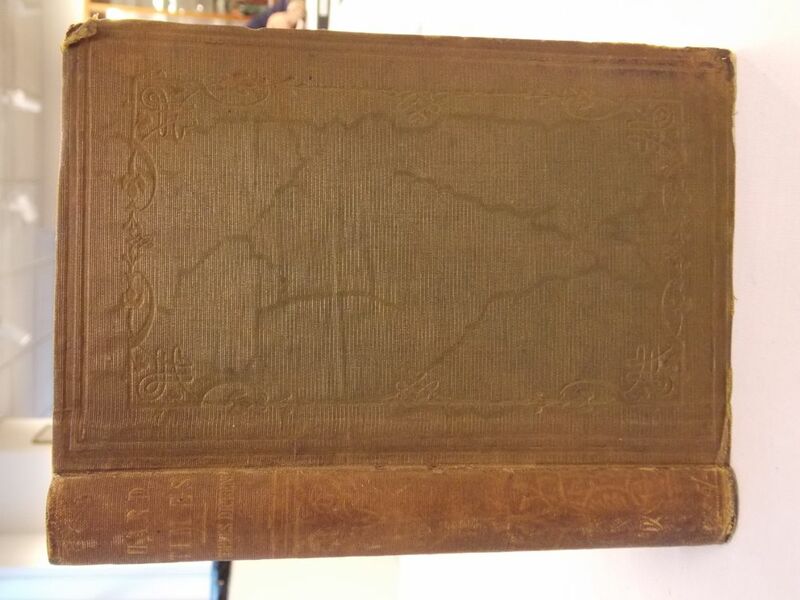 London: Bradbury & Evans, 1854. 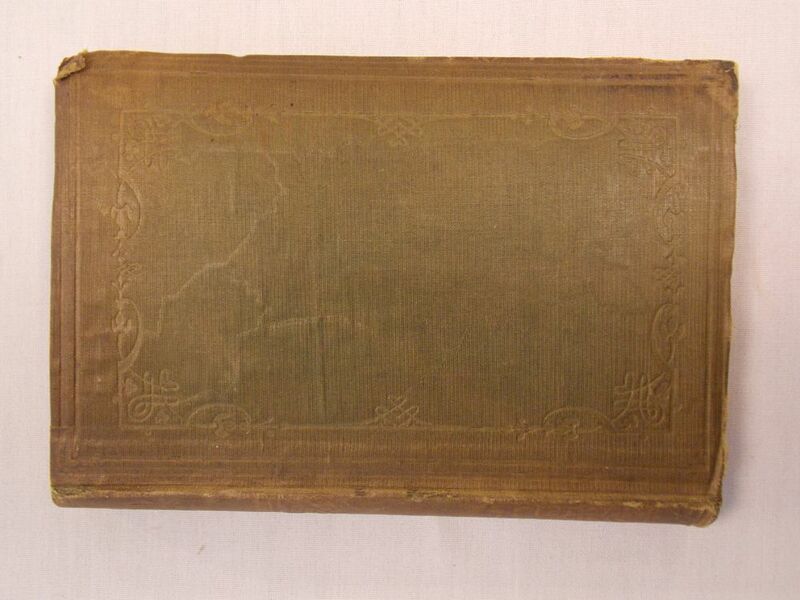 First edition in book form, with half title and dedication leaf, bound in publisher's light green moire horizontally ribbed and blind-stamped cloth, gilt-lettered spine with "Price 5/-" at foot, rebacked, 7 1/2 x 4 3/4 in. Washington, George (1732-1799) Autograph Survey Signed, Augusta County, Virginia, 16 April 1751. Washington, George (1732-1799) Autograph Letter Signed, Mount Vernon, 20 April 1773. Washington, George (1732-1799) Document, Twice Signed, 25 January 1774. Washington, George (1732-1799) Washington Crossing the Delaware. Washington, George (1732-1799) Washington Receiving a Salute on the Field of Trenton. West, Benjamin (1730-1813) Bickerstaff's Boston Almanack. Washington, George (1732-1799) Letter Signed, Headquarters, Bergen County, New Jersey, 13 September 1780. Washington, George (1732-1799) Letter Signed, Headquarters, Passaic Falls, New Jersey, 23 November 1780.